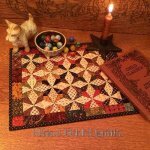 We used this book to make the quilt Frost on the Window Pane kit. 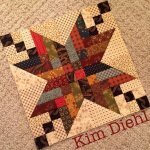 Bestselling author Kim Diehl is back with an all new collection of quilts plus her very own homestyle recipes inspired by the seasons. 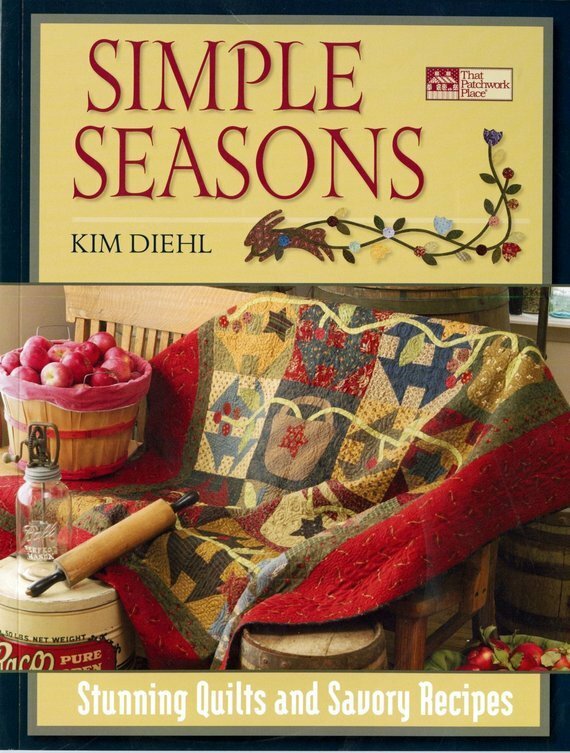 Bring the special meaning of each season alive in your home with Kim's signature tradition with a twist style. 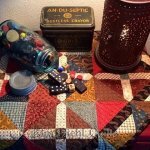 Thirteen projects with a seasonal flair include bed, lap, and wall quilts, plus a doll quilt and table runner. 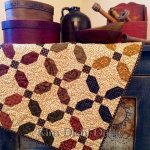 Simple patchwork and applique designs feature spring tulips, summer gardens, autumn jack o'lanterns, and winter mittens. Over a dozen tried and true recipes spotlight Kim's homestyle approach to cooking find hearty salads, soups, and breads, plus luscious desserts. 128 pages, color, softcover, ISBN:9781564777270 published by Martingale.